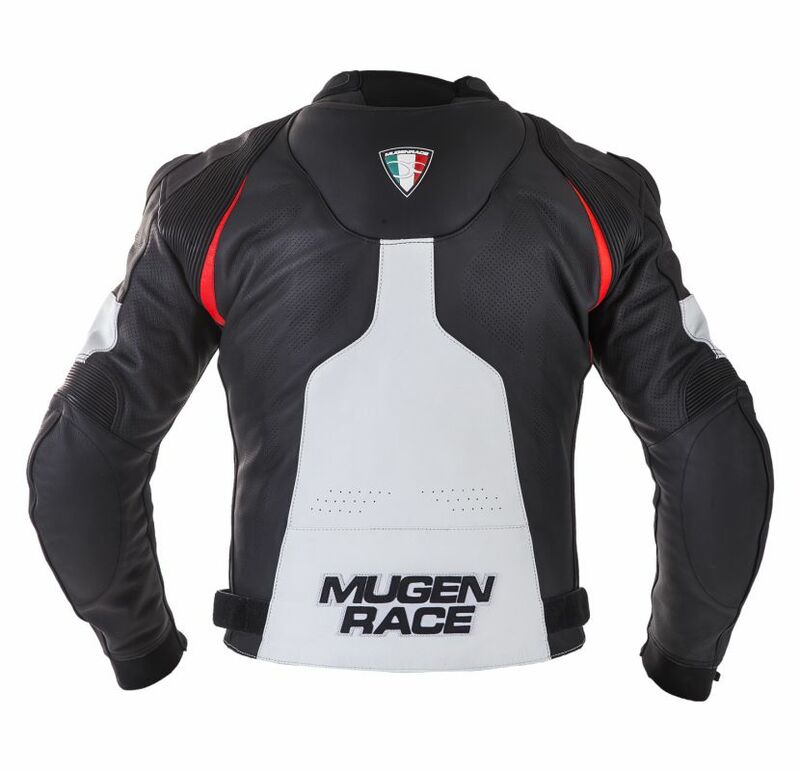 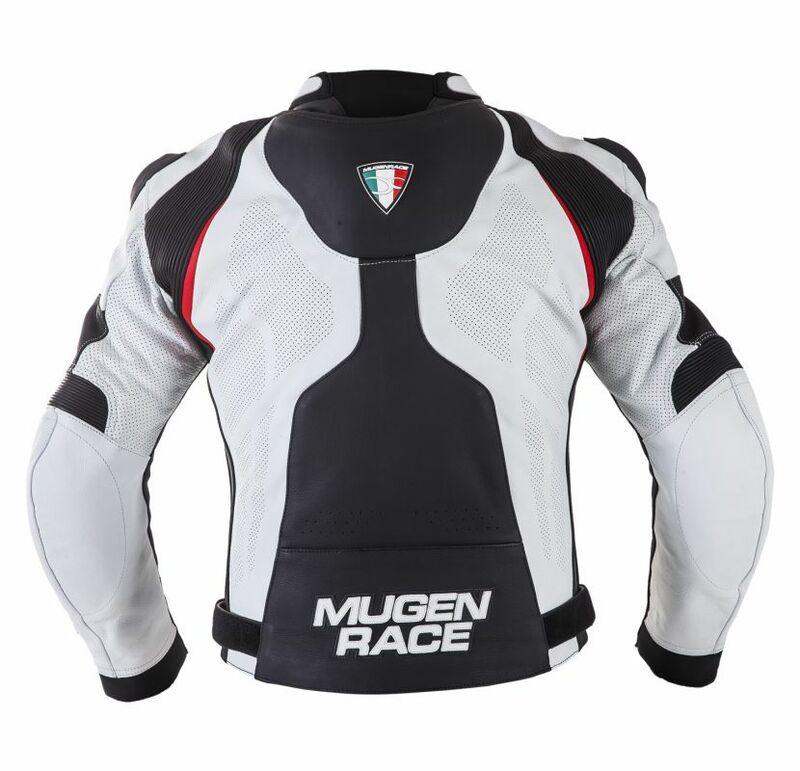 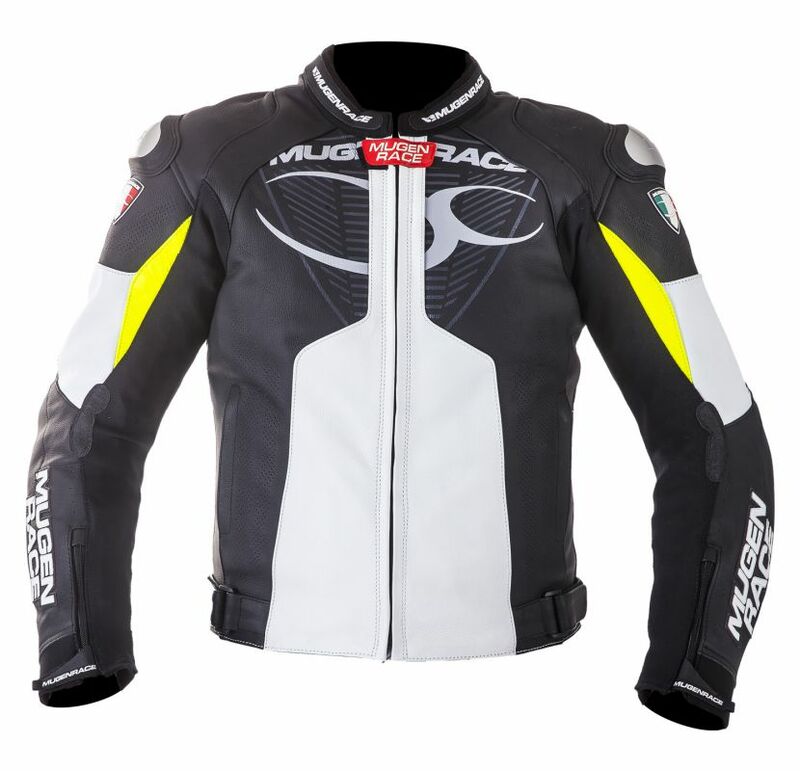 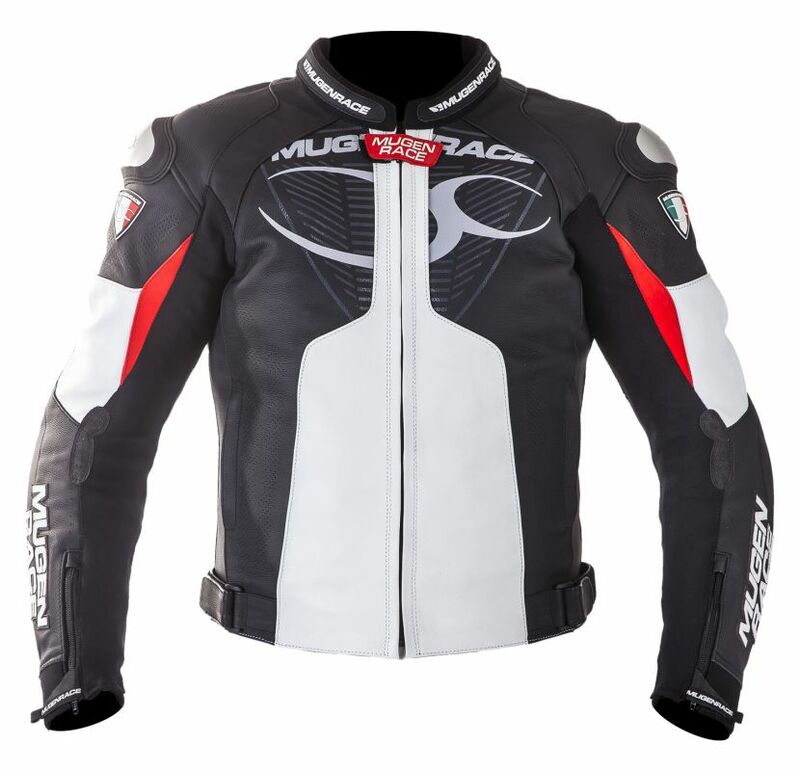 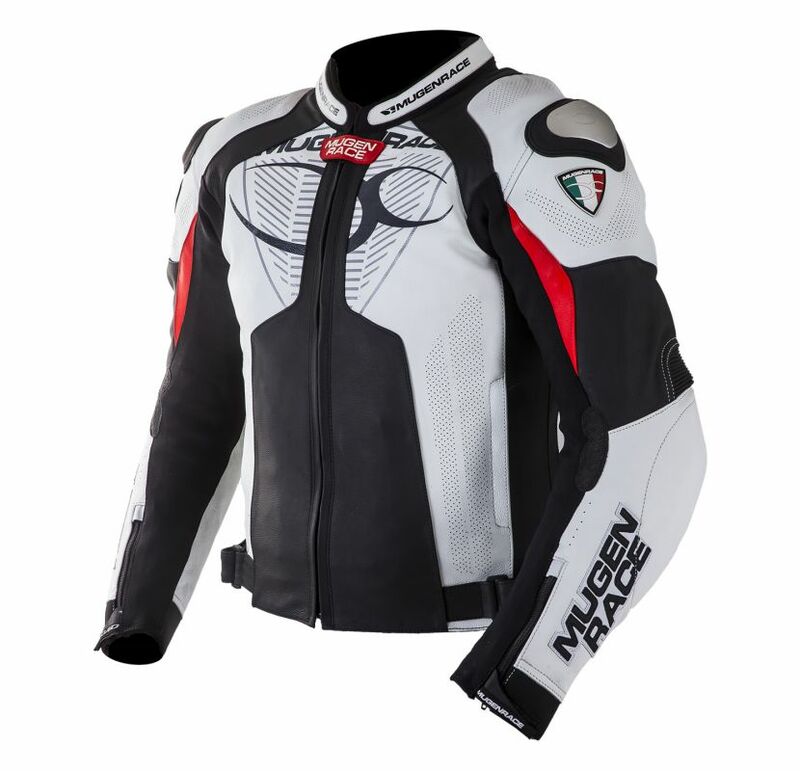 Ont he sides of the jacket has the same rubberized parts like the Mugenrace one piece race leather suits. 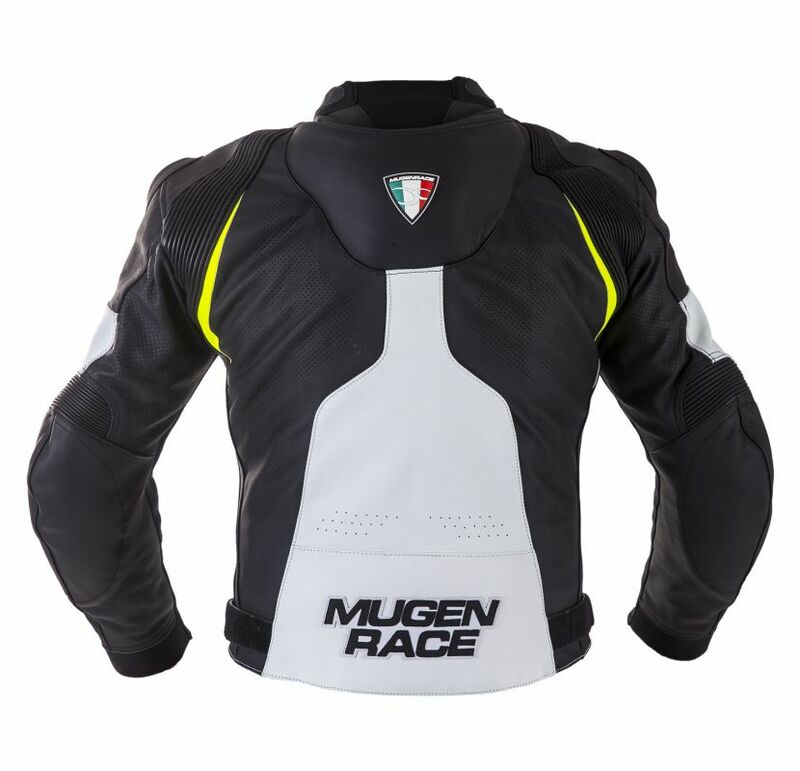 The aerodynamic race pin ont he back makes the jacket look like a race suit. 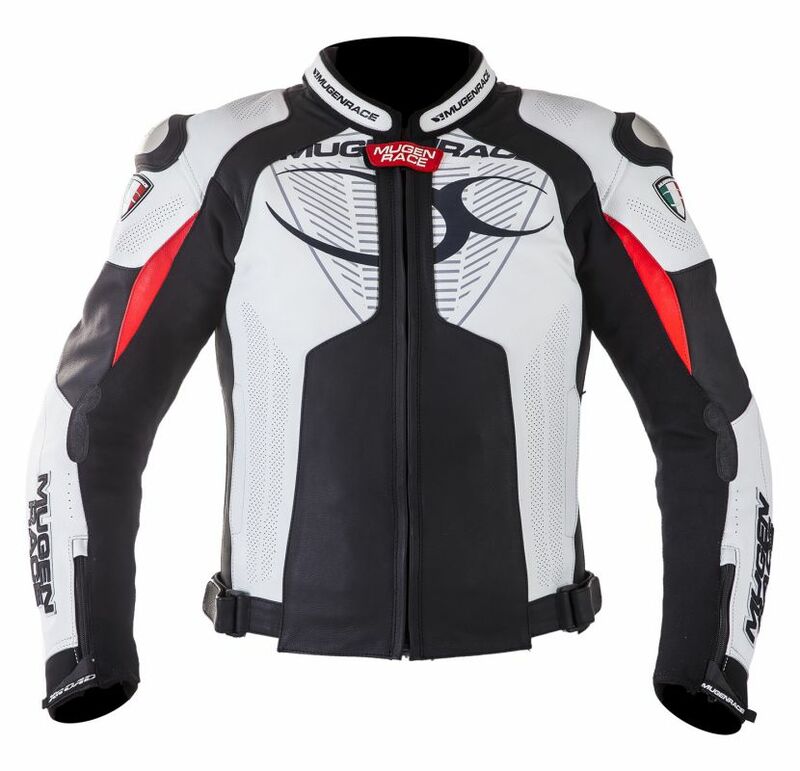 We got tha jacket fully perforated so it has a perfect ventilation,but with the removable lining it’s perfect in cold weather too. 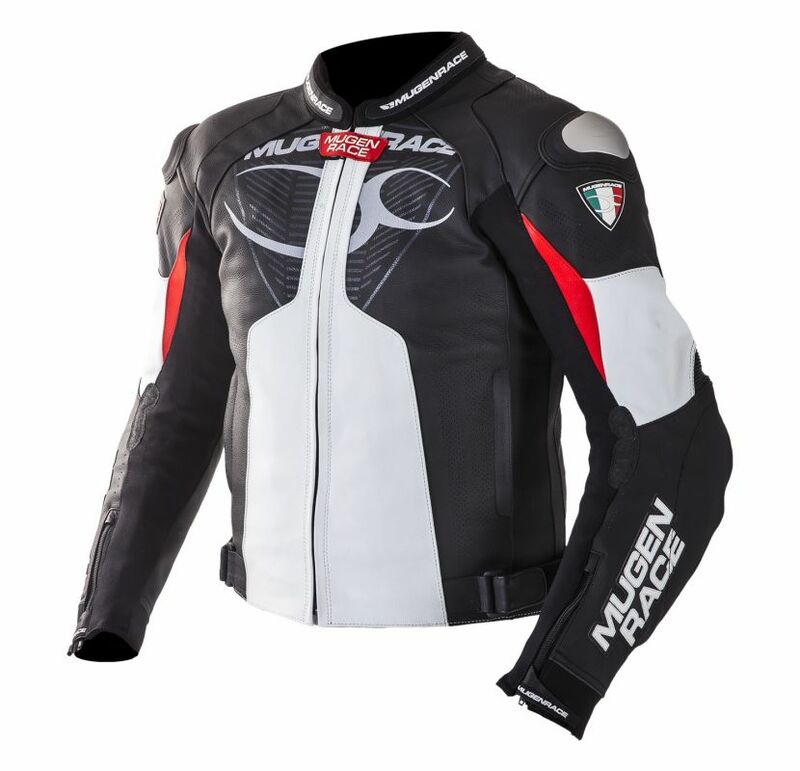 Outer shell: Cow hide leather with matte finish, perforated cow hide matte finish leather, special 4ways MNR-stretch and neoprene. 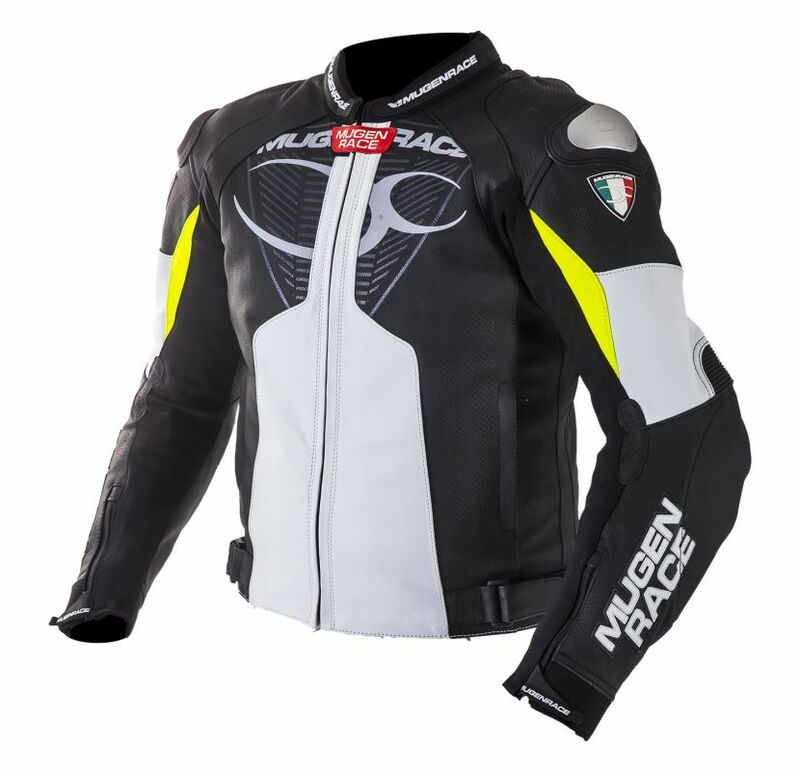 Protection External: Italian made TPU polyurethane protectors ont he shoulders .